Ellen White(1827-1915): “For long hours of agony, reviling and mockery have fallen upon the ears of Jesus. As He hangs upon the cross, there floats up to Him still the sound of jeers and curses. With longing heart He has listened for some expression of faith from His disciples. He has only heard the mournful words…How grateful then to the Saviour was the utterance of faith and love from the dying thief!” (DA, p. 750). William Hanna (1808-1882): “Loud angry voices have for hours been ringing the vexed ear of Jesus, voices of blasphemy and inhumanity wounded him far more than the mere personal antipathy they breathed. Amid these harsh and grating sounds, how new, how welcome, how grateful, this soft and gentle utterance of desire, and trust, and love!” (Life of Christ, p. 719, 1863). Ellen White (1827-1915): “…as he expressed his compassion, they seize him and place the cross upon his shoulders. Simon had heard of Jesus. His sons were believers in the Saviour, but he himself was not a disciple” (DA, p. 742, 1898). F. W. Farrar (1831-1903): “Perhaps on some hint from the accompanying Jews that Simon sympathized with the teachings of the sufferer, they impressed him without least scruple into their odious service” (The Life of Christ, Vol. 2, p. 395, 1874). Ellen White (1827-1915): “She had seen Him fainting under the burden of the cross… the heart-stricken disciples bore away from the cruel scene the fainting form of the mother of Jesus” (DA, 744). See the illustrations Nos. 14 &15. Anne Catherine Emmerich (1774-1824): “Although the Blessed Virgin was carried away fainting after the sad meeting with her Son loaded with his cross, yet she soon recovered consciousness, for the love, and the ardent desire of seeing him once more…” (Dolorous Passion of Our Lord Jesus Christ, p. 249, 1862 ). Bpccaccio Boccacino, 1501, Christ carrying the cross and the virgin Mary swooning. Ellen White (1827-1915): “The Jews themselves could not do this, because the defilement would prevent them from keeping the Passover” (DA, p. 742). Ingraham J. H (1809-1860): “…a malefactor’s cross, and not a Roman would touch it; and the Jews would not for the fear of defilement” (The prince of the House of David, p. 391, 1855). Isaac Ambrose (1604-1664): “The cross was a Roman death, and so one of their abominations; hence they themselves would not touch the tree of infamy, lest they should have been defiled” (Works of Isaac Ambrose, p. 321, 1829). Ellen White (1827-1915): “The angry lightnings seemed to be hurled at Him as He hung on the cross…As the outer gloom settled about the Saviour, many voices exclaimed: The vengeance of heaven is upon Him…Suddenly the gloom lifted from the cross…A light encircled the cross, and the face of the Saviour shone with a glory like the sun…Again darkness settled upon the earth, and a hoarse rumbling, like heavy thunder, was heard” DA, pp. 754, 756). Ingraham J. H (1809-1860): “The crosses soon were no longer visible, save by the fearful shine of the lightnings, flashing fiercely from the dread and silent cloud. The form of Jesus, amid the universal gloom, shone as if divinely transfigured, and a soft halo of celestial light encircled His brow like a crown of glory… At length the cloud above the cross parted, with a loud peal of thunder, while terrible lightnings fell, like lances of fire, all around the hanging form of Jesus” (The Prince of the House of David, pp. 408, 409, 1855). Note: According to the Gospels, there had been no lightnings and no thunder during the hours of darkness. 6. Lightnings hurled at Him (DA, Ch. 78). Ellen White (1827-1915): “The angry lightnings seemed to be hurled at Him as He hung upon the cross… The bolts of God’s wrath are hurled at Him, because He claimed to be the Son of God” (DA, p. 754). Ingraham J. H (1809-1860): “Our rising hopes were blasted by the livid lightnings which seemed to blast Him” (The Prince of the House of David, p. 409, 1855). Ellen White (1827-1915): “Many voices exclaimed: the vengeance of heaven is upon Him… Hope left them. If god had forsaken Jesus, in what could His followers trust?” (DA, p. 754). Ingraham J. H (1809-1860): “A hundered voices exclaimed, with horror: “See! He is deserted, and punished by the Almighty!”… Our rising hopes were blasted…”” (The Prince of the House of David, p. 409, 1855). Ellen white (1827-1915): “Suddenly the gloom lifted from the cross, and in clear, trumpetlike tones… Jesus cried, “It is finished.”… There was a violent earthquake. The people were shaken together in heaps… in the surrounding mountains, rocks were rent asunder, and went crashing down into the plains. Sepulchers were broken open, and the dead were cast out of their tombs” (DA, p. 756). Ingraham J. H (1809-1860): “The general exclamation of surprise that followed these clear trumpet- tones, was suddenly checked by a terrible trembling of the earth beneath our feet, so that vast number of people were cast down; the rocks of the hill of Calvary were rent, and thrown upwards, … and the sepulchers of the kings, with the tombs of the ancient prophets, were riven by vast chasms, and the green earth was strewn with the bones and bodies of the dead” (The Prince of the House of David, p. 410, 1855). Note: According to Matthew 27: 52, “the graves were opened,” but the dead were not cast out. William Henry Furness (1802-1896): “… the earthquake was so violent, that the stones which closed the mouths of the tombs were, in some instances, were shaken from their places and the bodies of the dead were thus exposed to the startled view of the alarmed passers-by” (A History of Jesus, p.269, 1833). Ellen white (1827-1915): “At the ninth hour the darkness lifted from the people, but still enveloped the savior… No eye could pierce the gloom that surrounded the cross” DA, p. 754). Ingraham J. H (1809-1860): “Suddenly the darkness, which had filled all the air, seemed now to concentrate and gather about the cross, so that Jesus became invisible” (The Prince of the House of David, pp. 409, 410, 1855). Note: There is no mention in the Gospels of the darkness still overshadowing the cross after ninth hour. (See Matthew 27:45; Mark 15:33-34; Luke 23:44). Ellen white (1827-1915): “Priests, rulers, soldiers, executioners, and people, mute with terror, lay prostrate upon the ground” (DA, p. 756). Ingraham J. H (1809-1860); “Of the thousands who had been gazing upon the crucifixion, every one now prostrate upon the earth in terror!” (The Prince of the House of David, p. 408, 1855). Ellen white (1827-1915): To the angels and the unfallen worlds the cry, “It is finished,” had a deep significance. It was for them as well as for us that the great work of redemption had been accomplished. They with us share the fruits of Christ’s victory” (DA, p. 758). Paul Thigpen: “Comte Joseph de Maistre [1754-1821] responded to Paine’s claims by suggesting that Christ’s earthly Incarnation was a sacrifice whose power reached throughout the cosmos. He quoted the ancient Catholic theologian Origen [184-250 A.D]: “The altar was at Jerusalem, but the blood of the Victim bathed the universe” (Life on Other Planets, 2010). Beilby Porteus (1731-1809): “It is, I believe, generally taken for granted, that it was for the human race alone that Christ suffered and died; and we are then asked, with an air of triumph, whether it be conceivable, or in any degree credible, that the eternal Son of God should submit to so much indignity and so much misery for the fallen, the wicked, the wretched inhabitants of this small globe of earth, which is as a grain of sand to a mountain, a mere speck in the universe, when compared with that immensity of worlds, and systems of worlds… But on what ground is it concluded, that the benefits of Christ’s death extend no further than to ourselves?… It enlarges our contracted views of divine beneficence, and brings us acquainted with other planets and other worlds, which share with us the cheering influence and the vivifying warmth of that glorious luminary [Sun]. Is it not then a fair analogy to conclude, that the great Spiritual Light of the world, the Foundation of life, and health, and joy to the soul, does not scatter his blessings over the creation with a more sparing hand, and that the Sun of Righteousness rises with healing in his wings to other orders of beings besides ourselves? … If this train of reasoning be just,… if the Redemption wrought by Christ extends to other worlds, perhaps, many others besides our own; if its virtues penetrate even into Heaven itself” (Sermons on Several Subjects, Sermon 3, Vol. 2, pp. 67-70, 1794). Paul Thigpen: “In 1865 and 1866, the French thinker Monseigneur de Montignez published nine essays on the subject. The fourth essay argued that “the blood which flowed out at Calvary has gushed out on the universality of creation.” He also insisted that the full meaning of many scriptural passages can be understood only in light of intelligent life on other worlds” (Paul Thigpen, Life on other Planets, 2010). Ellen White (1827-1915): “All heaven and the unfallen worlds had been witnesses to the controversy” (DA, p. 759). Eleazar Lord (1778-1871): “It has been noticed as indicated in the Scriptures, that the great scene, which, since creation, has been passing on the earth, has been diligently and closely observed by the created intelligences of the other worlds, that they may attain their knowledge of the invisible One in the same way as man” (The Mediatorial Work of Our Lord Jesus Christ, p. 171, 1845). Ellen White (1827-1915): “It [heaven] heard the sneers of his persecutors because of His lowly birth” (DA, p. 760). Anne Catherine Emmerich (1774-1824): “They all arose instantly and vied each other as to who should heap the most abusive epithets upon Jesus, whom they termed a low-born miscreant, who aspired to be their Messiah…” (The Dolorous Passion of Our Lord Jesus Christ, p. 169, 1862 ). Ellen White (1827-1915): “Heaven viewed with grief and amazement Christ hanging upon the cross, blood flowing from His wounded temples, and sweat tinged with blood standing upon His brow. From His hands and feet the blood fell, drop by drop, upon the rock drilled for the foot of the cross. The wounds made by the nails gaped as the weight of His body dragged upon His hands” (DA, p. 760). Ellen White (1827-1915): “Heaven had viewed with grief and horror Christ hanging upon the cross, blood flowing from his wounded temples, and sweat tinged with blood standing upon his brow. From his hands and feet the blood had fallen, drop by drop, upon the rock drilled for the foot of the cross. The wounds made by the nails had gaped as the weight of his body dragged upon his hands” (Present Truth, February 18, 1886). Anne Catherine Emmerich (1774-1824): “… the heavy cross fell into the hole with a frightful shock, – Jesus uttered a faint cry, and his wounds were torn open in the most fearful manner, his blood again burst forth… The tremendous concussion caused by the fall of the cross into the hole prepared for it, drove the sharp points of the crown of thorns, which was still upon his head of our dear saviour, still deeper into his flesh, and blood ran down again in streams, both from it and from his hands and feet” (The Dolorous Passion of Our Lord Jesus Christ, pp. 255, 256, 259, 1862 ). Isaac Ambrose (1604-1664): “… for by the weight of his body, his wounds were opened and enlarged, his nerves and veins were rent asunder, and his blood gushed out more and more” (Works Isaac Ambrose, p. 322, 1829). Ellen White (1827-1915): “But it was not the spear thrust, it was not the pain of the cross that caused the death of Jesus. That cry uttered, “with a loud voice” (Matt 27: 50; Luke 23; 46), at the moment of His death, the stream of blood and water flowed from His side, declared that He died of a broken heart, His heart was broken by mental anguish” (DA, p. 772, 1898). Daniel Whedon (1808-1885): “Of all natural solutions, perhaps that of Stroud is best. He maintains that Jesus died of a broken heart…It is a wonderful thought that the mighty heart of Jesus broke under its crushing weight of woe” (Whedon’s Commentary on the Bible, John 19:34, 1874). Ellen White (1827-1915): “It was an unheard – of a thing for one to die within six hours of Crucifixion” (DA, p. 772). William Hanna (1808-1882): “…he had never heard of a man dying upon a cross within six hours” (The last day of our Lord’s Passion, p. 306, 1863). Cunningham Geikie (1824-1906): “That any one should die so soon on the cross, especially one like Jesus, in prime of life, an unwearied by previous ill – health, and in such vigour to the last…appeared even to Christian of antiquity, to imply some supernatural cause” (Life and Words of Christ, Vol. ii, p. 574, 1879). Daniel March (1816-1909): “In six hours more, the most momentous hours in the worlds history, the awful tragedy is finished, and the incarnate Son of god bows his head in death” (Walks and Homes of Jesus, p. 312, 1866). Ellen White (1827-1915): “Christ arose from the dead as the first fruits of those that slept. He was the antitype of the wave sheaf, and His resurrection took place on the very day when the wave sheaf was to be presented before the Lord… The sheaf dedicated to God represented the harvest. So Christ the first fruits represented the great spiritual harvest to be gathered for the kingdom of God. His resurrection is the type and pledge of the resurrection of all the righteous dead.…” (DA, pp. 785, 786). Ellen White: “He points to the tokens of His triumph; He presents to God the wave sheaf, those raised with Him as representatives of that great multitude who shall come forth from the grave at His second coming” (DA, p. 834). Note: In the above statement the wave sheaf represented those raised with Jesus – not Jesus, as in the first statement. John Ross Mac Duff (1818-1868): “His own entrance within these gates as our representative of his people… He, the first sheaf, has been waived in the heavenly sanctuary – the “offering of first fruits” – the pledge of the myriad sheaves which are to follow” (Memories of Olivet, p. 345, 1868). Ellen White (1827-1915): “They see Jesus come forth from the grave, and hear Him proclaim over the rent sepulcher, “I am the resurrection, and the life.” As He comes forth in majesty and glory, the angel host bow low in adoration before the Redeemer, and welcome Him with songs of praise” (DA, p.780). Ingraham J. H (1809-1860): “When, at length I came to myself, the tomb was filled with dazzling forms of resplendent beauty; the air rung with music, such as mortals never before heard” (The Prince of the House of David, p. 427, 1855). Ellen White (1827-1915): “The voice that cried from the cross, “It is finished,” was heard among the dead. It pierced the walls of sepulchers, and summoned the sleepers to arise” (DA, p. 787). 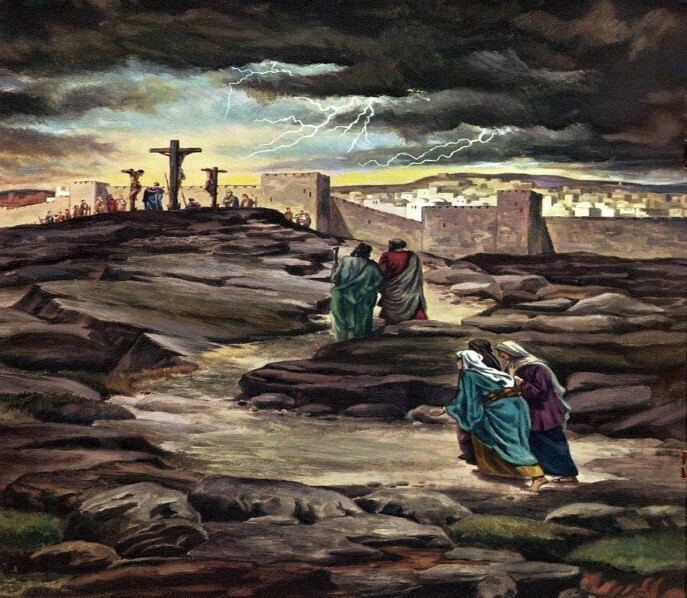 William Hanna (1808-1882): “…the voice from the cross cried, “It is finished,” went where sound of human voice had never gone before, … It was heard among the dead; it stirred the heavy sleepers there, and piercing the strong sepulcher” (The Last day of our Lord’s Passion, pp. 303, 304, 1863). Ellen White (1827-1915): “Here the priests overreached themselves. How could soldiers say that the disciples had stolen the body, while they slept? If they were asleep, how could they know?” (DA, p. 782). Octavious Winslow (1808-1878): “Or if as the rulers would have made it appear, the soldiers were asleep, how come they to know that the disciples secretly and by night, took the body away?” (The Glory of The Redeemer, p. 94, 1844). Ingraham J. H (1809-1860): “Besides, if they were asleep, these soldiers, how could they tell that it was stolen away, and declare the persons who did it?” (The Prince of the House of David, p. 434, 1855). Ellen White (1827-1915): “The faces of the priests were as those of the dead. Caiaphas tried to speak. His lips moved, but they uttered no sound…The priests and rulers were in continual dread, lest in walking the streets, or within the privacy of their homes, they should come face to face with Christ. They felt that there was no safety for them. Bolts and bars were but poor protection against the Son of God” (DA, pp. 781, 785). Ingraham J. H (1809-1860): “Caiaphas hearing the uproar, sprang from his couch to inquire the cause of it, and on being assured by his servants, “Jesus has burst His tomb and risen alive from the dead!” he quaked, and became deadly pale…His presence in Judea is a present dread, like great evil, to those who fear Him; but like a celestial blessing to more who love Him…The gates of this city are kept constantly shut, lest He should enter within the walls… Caiaphas having occasion to go to Jericho, few days after the Passover, hearing that Jesus had been seen with His disciples on the road, made a circuit round by Luz and Shiloh, in order not to meet Him” (The Prince of the House of David, pp. 432, 446, 1855). Ellen White (1827-1915): “While he had condemned the Saviour unwillingly, and with feeling of pity, he had felt no real compunction until now. In terror now he shut himself within his house, determined to see no one” DA, p. 782). Ellen White: “Pilate trembled… and his peace left him forever…He was now fully convinced that it was not merely a common, innocent man of whose blood he was guilty but the blood of the Son of God. Miserable was the life of Pilate; miserable to its close” (1SG, p. 71, 1858). Ingraham J. H (1809-1860): “When Pilate received the account from the centurion of the guard, he said: “We have crucified a God, as I believed! Henceforth I am accursed!” and leaving his hall of judgment, he went and shut himself up in his own room, which he has not left. But men say he neither eats nor sleeps, and that a dread fit of gloom has settled upon his soul” (The Prince of the House of David, p. 432, 1855). Ellen White (1827-1915): “It was Christ Himself who had placed those graveclothes with such care…As the angel from heaven rolled away the stone, the other entered the tomb, and unbound the wrappings from the body of Jesus. But it was the Saviour’s hand that folded each, and laid it in its place” (DA, p. 789). John Gill (1697-1771): “…since everything lay in such order and decency; and which was done, either by our Lord himself, or by the angels” (Gill’s Exposition of the Whole Bible, 1748). Paul E. Kretzmann (1883-1965): “Jesus Himself had laid aside these wrappings; He had risen; He had returned to life” (The Popular Commentary, 1922). 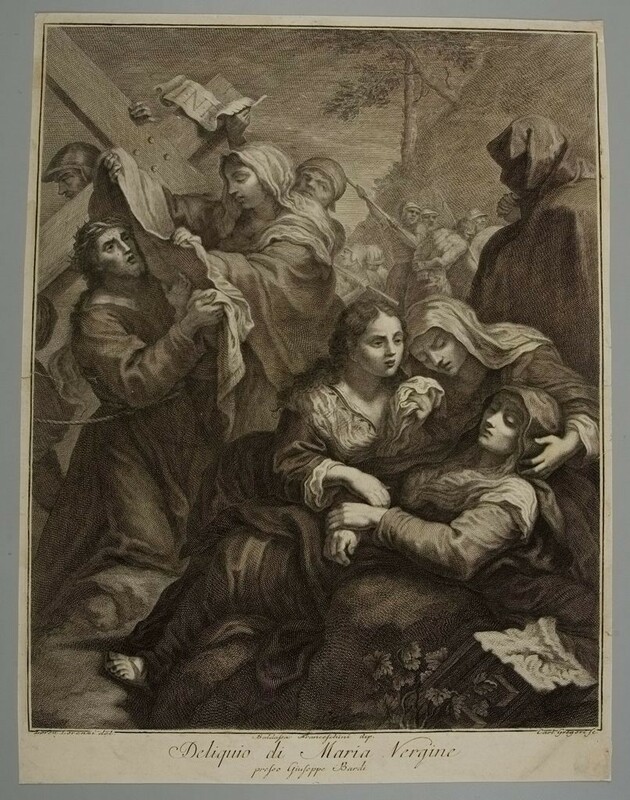 Johann Albrecht Bengel (1687-1752): “The angels without doubt ministered to Him at His resurrection; and one of them laid in order the linen clothes, the other the napkin (Bengel’s Gnomon of the New Testament, 1742). Joseph Benson (1748-1821): “Doubtless, the angels who ministered to him, when he rose, folded up the napkin and the linen clothes, and laid them in this order” (Joseph Benson’s Commentary of the Old and New Testaments, 1811-1818). Thomas Stephen: “The other angel entered in and administered to his risen lord; and probably folded the napkin and the linen clothes, and placed them where the woman and the two Disciples afterwards found them” (A Gospel History of our Lord and Saviour Jesus Christ: or, a Life of the Man of Sorrows, p. 740, 1853). Ellen White (1827-1915): “Jesus refused to receive the homage of His people until He had the assurance that His sacrifice was accepted by the Father. He ascended to the heavenly courts, and from God Himself heard the assurance that His atonement for the sins of men had been ample, that through His blood all might gain eternal life. The Father ratified the covenant made with Christ, that He would receive repentant and obedient men, and would love them even as He loves His Son” (DA, p. 790). Cyrus Ingerson Scofield (1843-1921): “That Jesus speaks to Mary as the High Priest fulfilling the day of atonement (Leviticus 16). Having accomplished the sacrifice, He was on His way to present the sacred blood in heaven, and that, between the meeting with Mary in the garden and the meeting of Matthew 28:9. He had so ascended and returned: a view in harmony with types” (Scofield’s Reference Notes: John 20: 17, 1909). Ellen White (1827-1915): “They had not advanced far on their journey when they were joined by a stranger, but they were so absorbed in their gloom and disappointment that they did not observe him closely… The disciples wondered who this stranger could be, that He should penetrate to their very souls, and speak with such earnestness, tenderness, and sympathy, and with such hopefulness… But little did they yet suspect who their traveling companion was. They did not think that the subject of their conversation was walking by their side… He walked as carefully as they over the rough stones, now and then halting with them for a little rest. Thus they proceeded along the mountainous road, while the One who was soon to take His position at God’s right hand, and who could say, “All power is given unto Me in heaven and in earth,” walked beside them… Their souls hungered to hear more from Him. “Abide with us,” they said. He did not seem to accept the invitation, but they pressed it upon Him… Christ yielded to this entreaty and “went in to tarry with them… Had the disciples failed to press their invitation, they would not have known that their traveling companion was the risen Lord. Christ never forces His company upon anyone. He interests Himself in those who need Him. Gladly will He enter the humblest home, and cheer the lowliest heart” (DA, pp. 795-800). Daniel March (1816-1909): “… at the beginning of their walk, that they saw a stranger coming up from behind with quicker step and silently joining their company. They were so busy with their thoughts, and he was so gentle and courteous in his approach, that they kept on in their conversation as if they were still alone. He saw that their faces were sad and their words came from burdened and sorrowing hearts. 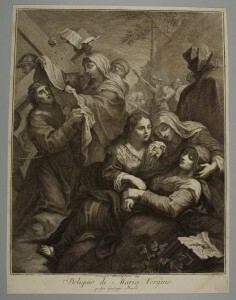 He gently drew from their cause of grief, and in few moments he entered into their feelings with so much tenderness… They wondered who he could be, and they expressed their wonder by silent glances at each other… the delighted and wondering disciples not knowing that they were listening to their lamented and risen Lord. They hear his step upon the stony road just like their own. 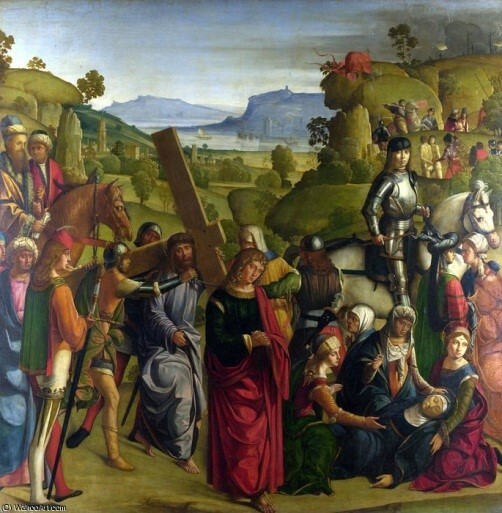 He labors with panting breath in climbing the steep place, and he moves with cautious tread in descending the slippery path, just as they do… And all the way the Divine Saviour, the Son of God, who could say, “All power is given unto me in heaven and in earth,” walks with these two men… the two travelers reach their home, and beg the kindly stranger to go in and abide with them for the night. He would have gone farther, and they would not have recognized their Lord had they not yielded to the impulse which his words had kindled in their hearts and urged him to stay. He never forces himself upon any. He joins the company of many who are toiling along the hard journey of life… but if they fail to ask him to abide with them, he passes on and they know him not…The humblest home becomes a palace fit for a king when Jesus enters in to tarry there” (Night Scenes in the Bible, pp. 415-418, 1868).